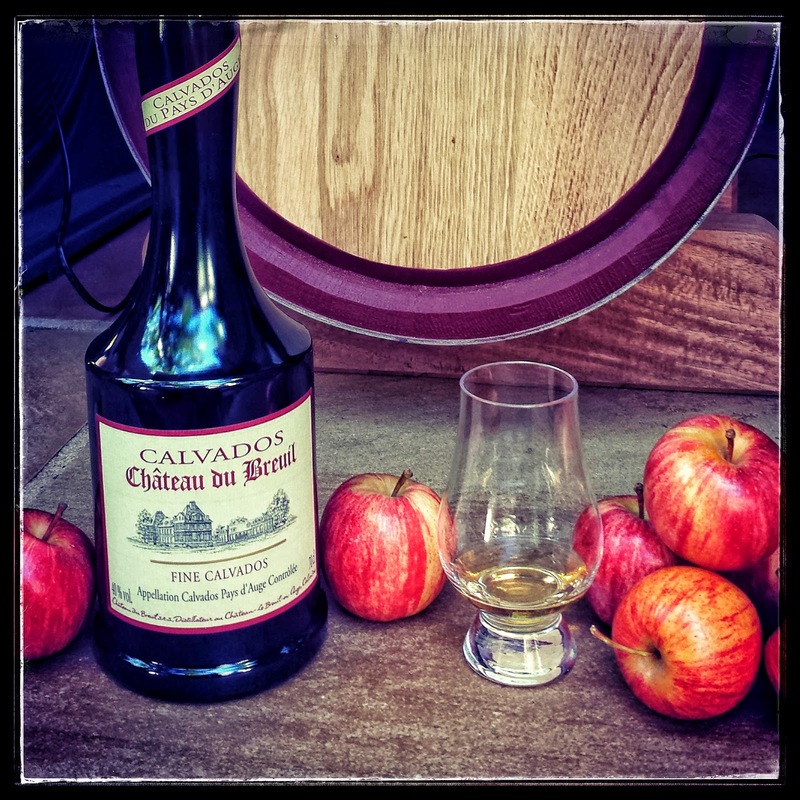 Calvados is an apple brandy traditionally made in the Calvados region of Normandy, France. Produced from fermented apples, or cider as we know it, this product often plays second fiddle to the grape brandies of France mostly from Cognac and Armagnac. Exactly why grape brandy is so popular is a vexing question, particularly after tasting a high quality Calvados while bearing in mind that there are literally hundreds of apple varieties distillers can use to craft a Calvados. Be that as it may, for most consumers, Calvados is one of France’s best kept secrets. 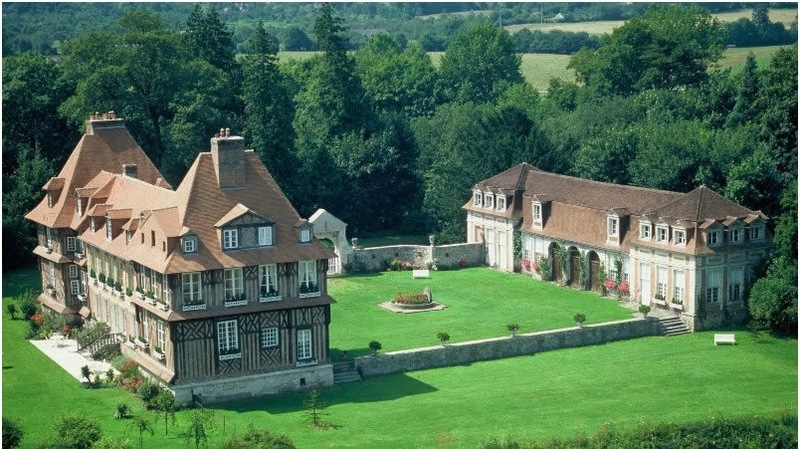 Château du Breuil has been producing Calvados since 1954, though quite spectacularly it is housed in a Château built in the 16th and 17thcenturies. Château du Breuil produce a number of expressions, the most readily available are the Fine (2 year old), VSOP (4 year old), 8 year old, 12 year old, 15 year old, 20 year old and Calvados Royal. The distillery also offers a number of other, more exclusive, expressions. In this review, Malt Mileage tastes the Château du Breuil Fine, which has been aged for two years on oak. This is clearly a young brandy that could have benefited from more time in oak, but as the “entry level” Château du Breuil that immaturity is to be expected. As a result, the brandy itself is full of apple cider flavours with very soft hints of oak and the nip of cinnamon on the finish. It is enjoyable, soft and simple without much punch or complexity about it due to its limited exposure to oak. It does not have the typical “hotness” of grape brandies of a similar age, but despite its softness it holds its own in cocktails and mixed drinks if an apple twist is desired. Overall, this is a young, soft and smooth Calvados that is simple, uncomplicated and projects layers of apple that dominate over the oak until the finish. Nose: The smell of apple dominates the bouquet, mostly in the form of a medium-dry cider with a metallic twist and apple puree. There are hints of oak, with vanilla and cocoa intermingling with spice. This also smells slightly yeasty. Taste: Very soft, the alcohol barely burns the palate as an entry of sweet apple strudel with raisin dries into emerging spices on the finish. Finish: The fresh and clean apple notes are accompanied with the nip of cinnamon and the lingering taste of a medium bodied lager. This entry was posted in Calvados, Uncategorized. Bookmark the permalink. I tried this recently and was taken with it to the point I’d be reluctant to try the Chateau’s more complex older offerings. It reminded me of a superb Austrian apricot I had years ago, summer in a bottle. The simplicity was beguiling. Wish I could find it in the US.